It has been a year since I've started using the hashtag #frannycooks on Instagram. I still remembered how I promised myself to cook more in 2015 and initially, I would prepare the safe dishes which are the ones that I can confidently prepare and are surely edible. Little by little, I've gained more confidence and creativity around the kitchen. I love surprising Paul with a newly created dish every now and then and I'm lucky that so far, he has liked them all. Recently, I had lunch with my colleague C and since I practice abstinence from meat every Friday in Lent, I had to choose among the seafood items in the menu. 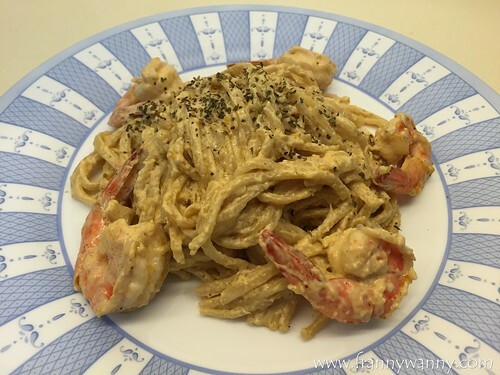 I zeroed in on the Tom Yum Seafood Pasta as I love anything with tom yum! I tell you, that was one of the best lunches that I've had this year and I just kept on raving about it after every bite. I loved it so much that I was so inspired to prepare my own version that same day. As you may have noticed, I do thing pretty fast. After quickly going through a number of recipes online, I decided to create my own style. Luckily, my friend D gave me some Knorr Tom Yum cubes a couple of months ago and I remembered having one last piece at home. I then created a creamy base which I mixed with the tom yum cube to have a nice spicy-creamy flavour. 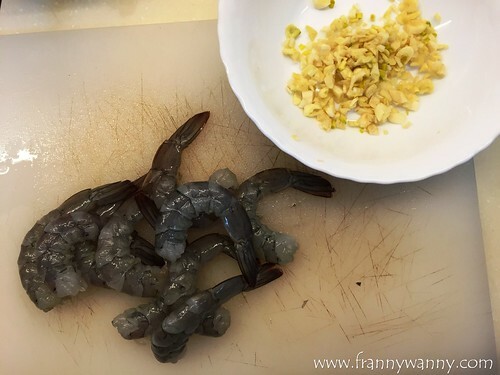 I was able to buy some huge prawns at the supermarket and I made sure not to overcook them as mushy prawns do not go well with al dente pasta noodles, right? #1: Cook the pasta according to the package direction. 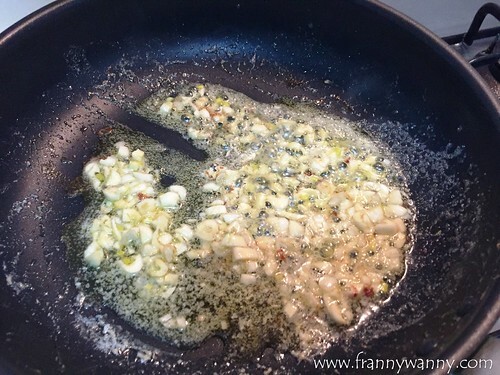 #2: In a separate pan, melt butter and sauté half of the minced garlic until golden brown. 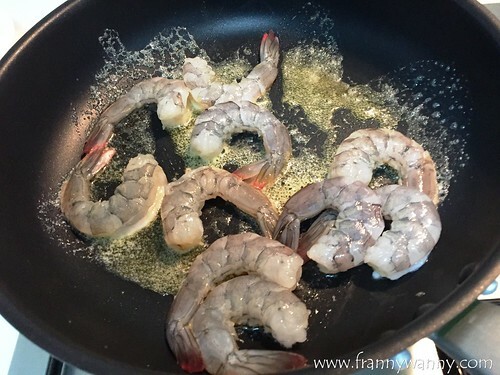 Toss in the shrimp and cook until they turn orange. Quickly transfer them to a plate and set aside. #3: Add in more butter and the rest of the minced garlic. #4: Add in the Tom Yum cubes and mix well. 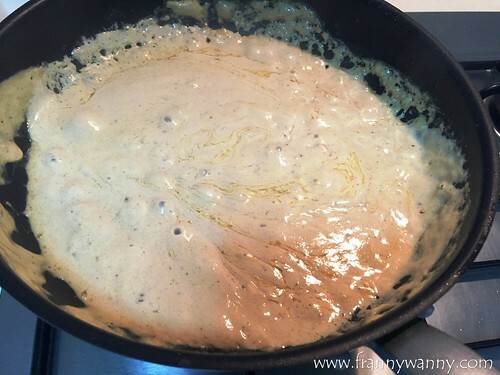 #5: Pour in the cream and cook until it simmers. 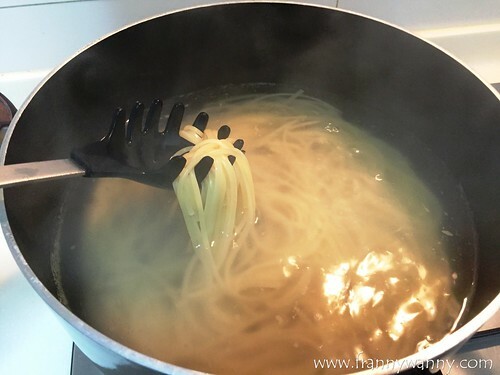 #6: Lower the fire and add in the cooked pasta noodles and coat it well with the cream. #7: Add back the shrimps and cook until it starts to bubble. Turn off the fire. #8: Season with salt, pepper and basil depending on your taste. 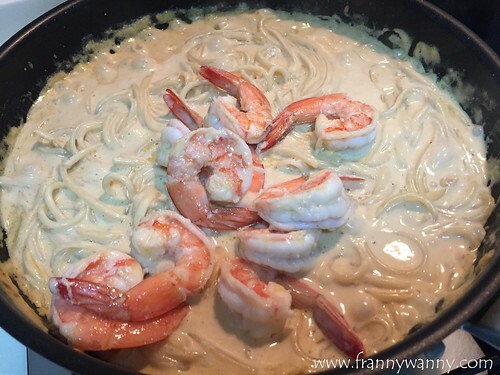 I love how the Tom Yum flavour has added more personality and punch to the cream sauce. It also lessens the umay (sated) feeling which is a pretty common effect of having too much creaminess. Instead of adding salt, I opted to sprinkle my pasta with grated cheese. You can also add in more garlic if you want it more garlicky too. One thing that I love about cooking is it gives you the flexibility to adjust the taste on how you want it. Hope you all like this Tom Yum Prawn Pasta. Enjoy!